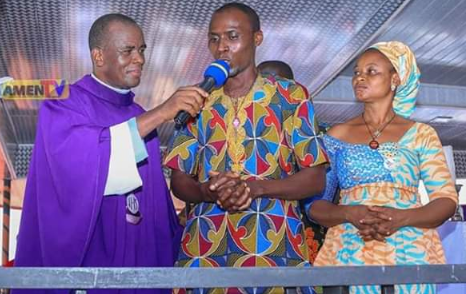 According to report, a blind man is celebrating and appreciating the Lord after he regained his sight during last week's Friday Night Adoration praises and prayers by Rev. 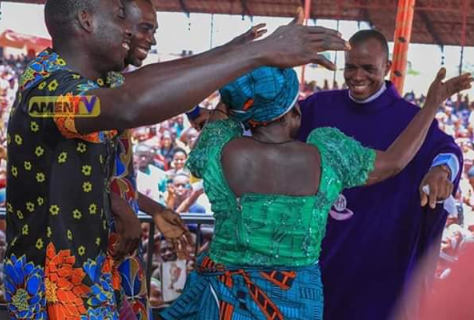 Father Mbaka. 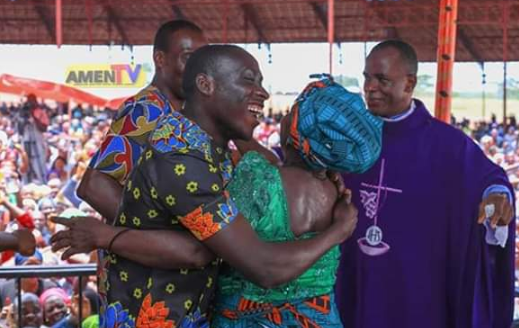 He went for thanksgiving at the popular ministry on Sunday to show appreciation.